Volvo CEO Hakan Samuelsson: "Volvo wants to be at the forefront of this shift to electrification." 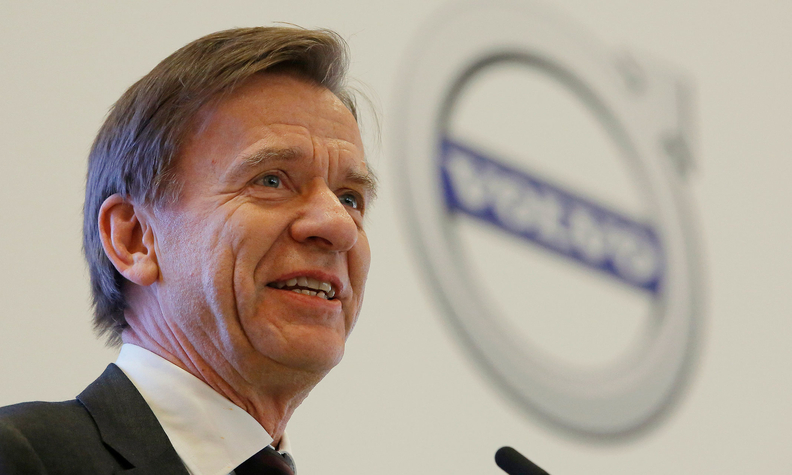 "It is a deliberately ambitious target," Volvo CEO Hakan Samuelsson said in a statement. "It is going to be a challenge, but Volvo wants to be at the forefront of this shift to electrification." The automaker said it plans to offer at least two hybrid versions of every model and release an all-electric car in 2019. The automaker has a growing lineup of plug-in hybrids and sources say it will add conventional hybrids to its powertrain portfolio. The company's scalable product architecture (SPA) and compact modular architecture (CMA) can incorporate hybrid or fully electric car technology, Volvo said. Volvo's 90 series and 60 series are built on SPA. Volvo has plans for a family of compact cars, the 40 series, which will be built on CMA. Those three series will have electrified versions. In October, Volvo said it expects electrified models to account for 10 percent of its global sales by 2020, when the automaker aims to boost its global volume to 800,000 vehicles. The well-received XC90 figures to be an important cog in the company’s goal. The XC90 T8 Twin Engine plug-in hybrid is now reaching dealerships in Europe and the U.S. The XC90 plug-in hybrid, which can achieve 400 hp from its gasoline engine and electric motor, can get 43km of pure electric driving and fully charge in about four hours, according to Volvo’s website. The S90 sedan, which was unveiled in Sweden last December, will have an available plug-in gasoline-electric hybrid option.